Well, it seems a lot of challenges are popping up for the fall. Something about this time of the year gets us motivated and festive. I'm still waiting for the announce of the RIP challenge if there is one this year. 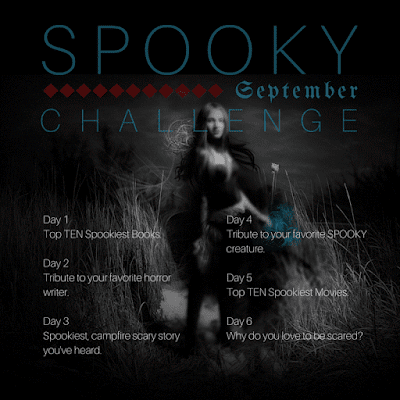 I'm delighted to see Parajunkee is hosting a new seasonal challenge, hers are always fun. I have to say that I'm weird with horror. Every since I was a small Erin, I was fascinated by it. I remember being extremely young and seeing the Michael Jackson Thriller video playing on TV a lot. Whenever it came on I'd get super excited and watch it. I was intrigued by the Friday the 13th movie covers when I saw them, asking my mom if we could watch them (we couldn't.) This continued until I could sneak in horror books pretty young - my parents monitored movies closely, but not books quite as closely thankfully! Due to that, I was able to read a large number of them by now, sampling different types and seeing what gets to me. But unlike many, I don't get creeped out by horror movies or books really. I find most of them only slightly creepy. But there are a few where something creepy is in there, a moment that gave me a pause for whatever reason, the chill up the spine or that paranoid glance over the shoulder. 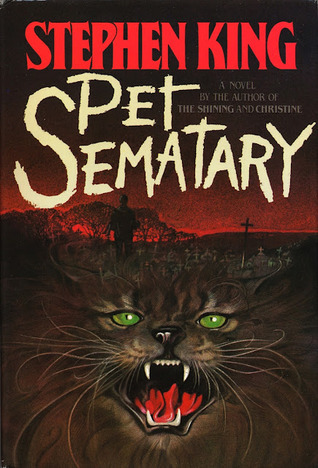 Pet Sematary by Stephen King - As a coincidence, I did a re-read of this book this month. 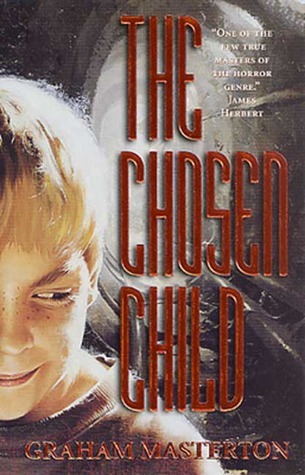 The creepiest thing about this book is the awful theme of grief and your worst fears coming true concerning those you love, that false hope that gets twisted. I didn't find Gage creepy in the book, but the cat...yeah, there were some creepy moments, especially when Louis wakes up to find him laying on his chest. The cemetary ventures in the middle of the night with the wild loon calls and the creepy moving of the trees - what's out there - all were eerie moments. 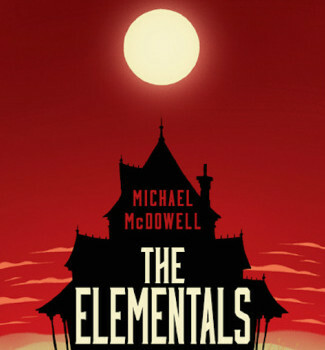 Full review here. 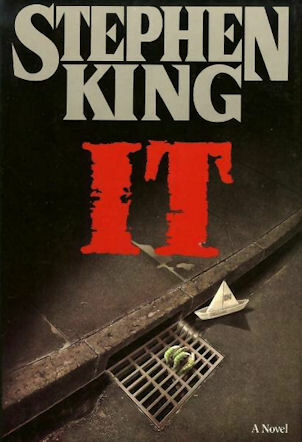 IT by Stephen King - While I don't find it the frightfest some do, there were genuinely creepy moments in this book. Copied from my review - "The clown is just creepy – he is one of the most imaginable monsters invented. There were some genuinely disturbing scenes in the book that make this stand in a sobering reality. What always comes to my mind of creepy scenes are small flashbacks rather than the events as they happen – for instance, when in the police station the man is recounting the tale of the clown dragging the body, looking up at him, and then appearing to bite into the guy’s armpit. That was genuinely creepy. And the other horrible story is told from Mike as adult, of the 2 year old being murdered and the mother hearing the sound’s from downstairs, the maniacal laughing and the toilet flushing, to come and find her child drowned and his back broken. Terrifying stuff." 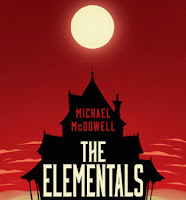 The Elementals by Michael McDowell - The whole of the book is not terrifying, but there were certainly creepy moments in the house with the sand, moments that were written with a type of still, "quiet" horror that can get to a reader. Summer of Night by Dan Simmons - This book is better remembered as an excellent story, a moving story, good doses of drama, but there are some truly eerie moments too, especially concerning the death of a favorite character in the field. Night Plague by Graham Masterton - The book opens with a horrifying event that disturbs more than terrifies, but terror is not let go of later on during a scene in a room with a fireplace. Yikes. Masterton can write some of the eeriest moments in horror fiction. Salem's Lot by Stephen King - That window scene, 'nough said. 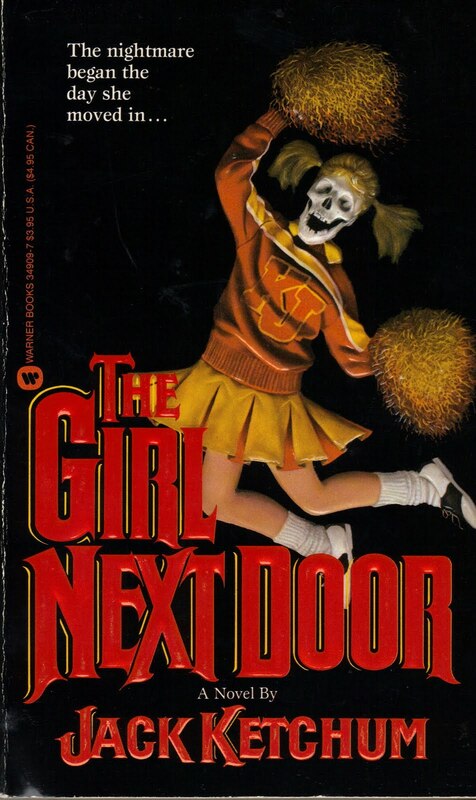 The Girl Next Door by Jack Ketchum - There may not be any creepy scenes in this book in terms of downright fear, but the stuff in this book is so disturbing it may be the scariest of all. Phantoms by Dean Koontz - I'm not sure how much it would live up to a re-read, but I remember some creepy moments in this book, especially finding the empty town and some of those troubling bodies (or body pieces), especially in the kitchen. Well, there you have it, some of my 'creepy' recommendations. The list ended up 13 books before I started count, then I had to remove some, so I guess this list wasn't as difficult to come up with as I originally thought it would.